The Aris Quartett awarded with "Jürgen-Ponto Foundation" Music Prize - Aris Quartett Homepage! 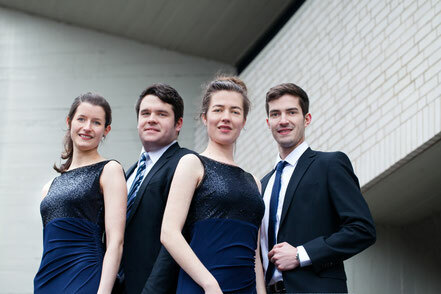 The Aris Quartett has been awarded wih the Music Prize of the "Jürgen-Ponto Foundation". The prize includes a prize money of 60.000 Euro as well as concert invitations to prestigious Music Festivals.